The hottest international independent magazine on the planet. Each month we are dedicated to putting indies on the map, in fashion design, modeling, music, films, authors, MUA's, producers, DJ's, directors, photographers etc. We always feature the best entertainment from around the globe. 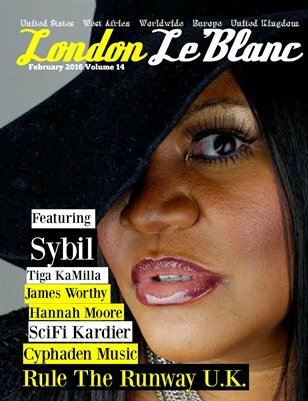 Featuring Sybil Lynch, Rule The Runway U.K., and Hannah Moore..